WPAP stands for Wedha's Pop Art Potrait is a style of pop art art popularized by Wedha Abdul Rashid who is also the maker of this flow. WPAP was formerly called FMB (Photo Marak Berkotak). 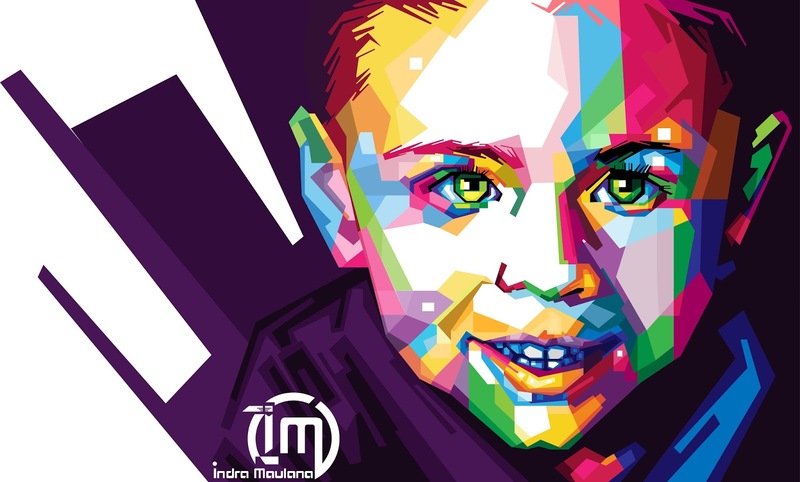 Technically, WPAP has certain characteristics in the drawing of objects, which in WPAP you will find the fields are boxed and filled with colors between fields without losing the character of the object or model drawn. In WPAP you definitely will not find the arc fields because that's why WPAP has certain characteristics that make WPAP has its own uniqueness in terms. 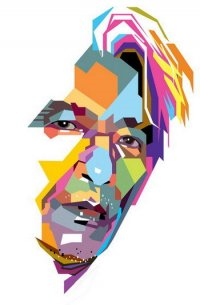 Who Is The First Who Pieces WPAP Artwork? This painting technique was invented by Wedha Abdul Rasyid, a graphic artist from Pekalongan, Central Java, in 1990. The beginning of WPAP's popularity was when used to illustrate the stories of Arswendo Atmowiloto and Hilman Hariwijaya in Hai magazine. Starting around the years 1990-1991 originated from anxiety to draw a realist figure of human being as it gets older. According to Wedha, the image of a realist human figure has the highest difficulty level added by selecting factors, mixing colors into things that make it difficult. The resemblance of human skin color, the fineness of scratches, became something that was expensive for Wedha. From the anxiety that, Wedha began to think of how to paint the human figure in an easier way by tinkering with points, lines and fields. Starting from there began Wedha imagine the image of a human figure as a collection of flat areas formed by imaginary lines. Before discovering how to make it like today where technology helps greatly in making WPAP Wedha has to go through such a long process of making WPAP manual to digital in today's era.